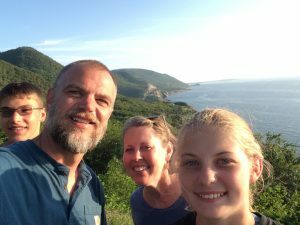 Recently, ACRES Land Trust Executive Director Jason Kissel vacationed with his family along the Canadian Atlantic Coast. His trip included jaunts in and around New Brunswick, Nova Scotia and Prince Edward Island. Jason was so moved traversing the coastline and meeting various folks, he penned the following narrative to capture those experiences for our readers. May it inspire you, as well! Something that was clearly evident during my family vacation along the Canadian Atlantic Coast was the difference in land ethic. The majority of people we encountered make their income from natural resources: fishing, crabbing, lobstering, forestry, forest products, guiding, nature-based tourism, etc. 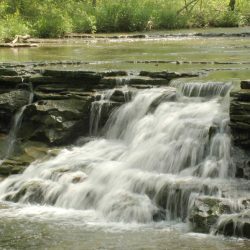 Therefore, they all are invested in ensuring healthy and abundant natural areas. They understand and respect the natural cycles and systems that their livelihood depends upon. The economic value of natural areas caused nearly everyone to see natural areas as worth sustaining – even if they didn’t feel strongly about all the other reasons to sustain natural systems. Nature is an obvious economic asset there. In fact, it is the top economic generator, by far. In our region, nature is often looked at as a barrier to economic growth. Yes, it plays a role in drawing talent to the “real” economic engines, and it’s “nice” to have nature, but acre for acre, a corn field, office complex, or housing development out-competes nature when direct economic value is calculated. (We tend to ignore or undervalue the direct and indirect value our natural areas provide – storm water retention, clean air and water and so on.) Along the Canadian Atlantic Coast, nature is valued as the highest and best economic use. In our region, due to highly productive soils, more moderate climate and a higher density of people, the highest and best economic use is rarely nature. 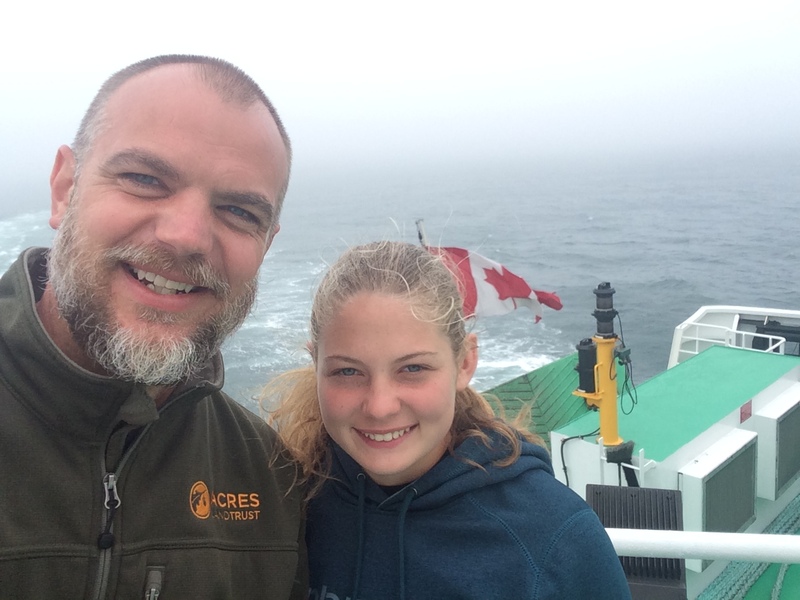 My tour of the Canadian Atlantic Coast made me wonder if there is a way to increase the economic value of natural areas in our region. 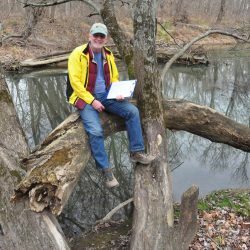 Then it wouldn’t just be the land trusts and public agencies sustaining natural areas; it would also be the average landowner (who owns 95% of the land in our service area). This model has moderate success in southern Indiana. Due to steep hills and less productive soils, you can make the same / more money per acre through sustainable forestry as you can farming. The ACRES service area is blessed with relatively flat terrain and highly productive soils – but those same assets have caused us to turn from natural to manipulated systems due to economic potential. How do we better express the economic value of our natural places here and now? We’re working on it. Part of the reason to take vacations is to gain different perspectives, I certainly gained that from this trip. And it was a fun and beautiful trip, as well! We saw lots of whales, rocky coastlines, and boreal forests – my family loved it!